Why is the detective story? To entertain, to interest, to amuse. It has no deeper intent, no more subtle raison d'etre than to give pleasure to its readers or puzzle them, for there is really a practical utility in puzzle-solving. Regular exercise is supposed to be as necessary for the brain as for the body, and in both cases it is not so much what we do as the doing of it, from which we derive benefit. Why is the detective story? To entertain, to interest, to amuse. It has no deeper intent, no more subtle raison d'etre than to give pleasure to its readers. It has been argued that its "awful examples" (sometimes very awful! ), are meant as cautionary pictures to restrain a possible bent toward the commission of crime. It is held by some that the habit of analytical and synthetical reasoning, requisite to appreciate the solving of these fictional mysteries, is of value in training the mind to logical and correct modes of thinking; the practical application of which, in the everyday affairs of life, proves a valuable asset in the worldly struggle for success. "There is really a practical utility in puzzle-solving. Regular exercise is supposed to be as necessary for the brain as for the body, and in both cases it is not so much what we do as the doing of it, from which we derive benefit. Albert Smith, in one of his amusing novels, describes a woman who was convinced that she suffered from 'cob-wigs on the brain.1 This may be a very rare complaint, but in a more metaphorical sense, many of us are very apt to suffer from mental cobwebs, and there is nothing equal to the solving of puzzles and problems for sweeping them away. They keep the brain alert, stimulate the imagination and develop the reasoning faculties. And not only are they useful in this indirect way, but they often directly help us by teaching us some little tricks and 'wrinkles' that can be applied in the affairs of life at the most unexpected times, and in the most unexpected ways." "The ingenious study of making and solving puzzles is a science undoubtedly of most necessary acquirement, and deserves to make a part in the meditation of both sexes. It is an art, indeed, that I would recommend to the encouragement of both the Universities, as it affords the easiest and shortest method of conveying some of the most useful principles of logic. It was the maxim of a very wise prince that 'he who knows not how to dissemble knows not how to reign;' and I desire you to receive it as mine, that 'he who knows not how to riddle knows not how to live.'" But though all this may be true as a vague result, it is not the author's real purpose. He writes solely for entertainment; presumably the entertainment of his audience, but often equally for the entertainment of himself. The detective story, and now we include the whole range of mystery or riddle stories, is founded on a fundamental human trait, inquisitiveness. Man is an incarnate interrogation point. The infant's eyes ask questions before his tongue can do so, and soon the inquiring eyes are supplemented by a little outstretched hand, trying to satisfy a curiosity by the sense of touch. But, once having achieved a vocabulary, however small, he uses it almost entirely to make inquiries, until so prominent becomes this trait, that his conversation is cut off altogether, and he is condemned to be visible but not audible. Attaining further intelligence, his inquiries become more definite and thoughtful, though no less numerous and eager. He seeks books, whether in or out of running brooks; he inquires of authorities, or he reasons out answers for himself, as he grows in body and brain. He meets a friend in the street, he pours out questions. In his business he progresses by one question after another. Is he an inventor? He questions of Nature till he probes her various secrets. Is he a philosopher? He questions his soul. "The curious propensity for propounding puzzles is not peculiar to any race or to any period of history. It is simply innate in every intelligent man, woman, and child who has ever lived, though it is always showing itself in different forms; whether the individual be a Sphinx of Egypt, a Samson of Hebrew lore, an Indian fakir, a Chinese philosopher, a mahatma of Tibet, or a European mathematician makes little difference. "Theologian, scientist, and artisan are perpetually engaged in attempting to solve puzzles, while every game, sport, and pastime is built up of problems of greater or less difficulty. The spontaneous question asked by the child of his parent, by one cyclist of another while taking a brief rest on a stile, by a cricketer during the luncheon hour, or by a yachtsman lazily scanning the horizon, is frequently a problem of considerable difficulty. In short, we are all propounding puzzles to one another every day of our lives—without always knowing it." An orator makes his best effects by questions. The Book of Job is impressive largely because it is written in interrogative form. Many trite quotations are questions. "What is truth?" or "Is life worth living?" arrest our attention because they are debatable queries. Who is not more interested in the Questions of the Day than in the known facts? According to Mr. George Manville Fenn, the man who invented a wondrous and mysterious plot for a story deserves a palm. "He must have been a deep thinker, one well versed in the philosophy of goose quill, knowing that his story would thrill the reader, and that he had achieved the great point of seizing upon that reader's imagination, and holding it, so that he would follow the mystery of the fiction to the very end. It may have been the result of some haphazard lucky thought, but still he must have been a careful student of every-day life, and must have duly noted how largely curiosity or the desire to fathom the unknown is developed in the human brain." As with other human traits, inquiry is inherent to a greater extent and also more largely developed in some minds than in others. Some people say "How do you do?" and wait interestedly for your answer. Others say "How are you?" and without pausing for reply, go on to remark about the weather. But it is the people who are interested in answers who care for detective stories. It is the people who care for the solution of a problem who write and read mystery tales. One who has studied these questions from many points of view, and, above all, noted how a story will "catch on," and almost electrically seize the imagination of the reading world, will constantly see that in the majority of cases the most popular fiction of the day is that in which mystery plays a prominent part—a mystery which is well concealed. This is no secret. It is the natural desire for the weird and wonderful—that hunger for the knowledge of the unknown which began with the forbidden apple; and the practiser of the art in question merely grows for those who hunger, a fruit that is goodly to the eye, agreeable to the taste, and one that should, if he—or she—be worthy of the honored name of author, contain in its seeds only a sufficiency of hydrocyanic poison to make it piquant in savor. It is no forbidden fruit that he should offer, merely an apple that is hard to pick—a fruit whose first bite excites fresh desire, whose taste brings forth an intense longing for more, and of which the choicest and most enticing morsel is cleverly held back to the very end. "It is extraordinary what fascination a good puzzle has for a great many people. We know the thing to be of trivial importance, yet we are impelled to master it, and when we have succeeded there is a pleasure and a sense of satisfaction that are a quite sufficient reward for our trouble, even when there is no prize to be won. What is this mysterious charm that many find irresistible? Why do we like to be puzzled? The curious thing is that directly the enigma is solved the interest generally vanishes. We have done it, and that is enough. But why did we ever attempt to do it? The answer is simply that it gave us pleasure to seek the solution—that the pleasure was all in the seeking and finding for their own sakes. A good puzzle, like virtue, is its own reward. Man loves to be confronted by a mystery—and he is not entirely happy until he has solved it. We never like to feel our mental inferiority to those around us. The spirit of rivalry is innate in man; it stimulates the smallest child, in play or education, to keep level with his fellows, and in later life it turns men into great discoverers, inventors, orators, heroes, artists and (if they have more material aims) perhaps millionaires." But the kernel of their interest is resolution. A mystery and its solution designedly set forth in narration, implies a previous sequence unknown to the reader. It is this re-solution that attracts the alert brain, and stimulates the reader to solve for himself a problem whose answer he will shortly learn. But he wants to learn that answer as corroborative proof of his own solution, and not as a revelation. It is this instinct great in some, small or perhaps even entirely lacking in others, that makes a mind interested in puzzles or mysteries. The enjoyment of puzzles or mysteries is as old as humanity itself. First there is the ancient Riddle, that draws upon the imagination and play of fancy. Readers will remember the riddle of the Sphinx, the monster of B?otia, who propounded enigmas to the inhabitants and devoured them if they failed to solve them. It was said that the Sphinx would destroy herself if this one of her riddles were ever correctly answered: "What animal walks on four legs in the morning, two at noon, and three in the evening?" It was explained by Oedipus, who pointed out that man walked on his hands and feet in the morning of life, at the noon of life he walked erect, and in the evening of his days he supported his infirmities with a stick. When the Sphinx heard this explanation, she dashed her head against a rock and immediately expired. Puzzle solvers may be really useful on occasion. 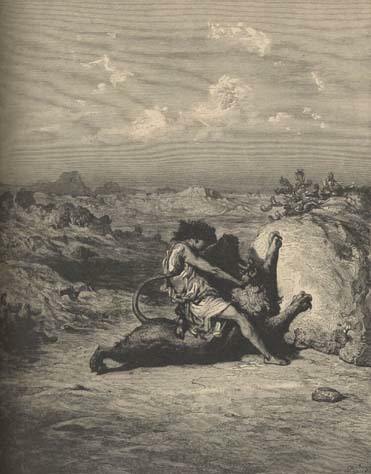 Then there is the riddle propounded by Samson. It is perhaps the first prize competition in this line on record, the prize being thirty sheets and thirty changes of garments for a correct solution. The riddle was this: "Out of the eater came forth meat, and out of the strong came forth sweetness." The answer was, "A honeycomb in the body of a dead lion." The classic "Riddle of the Sphinx" is mythological rather than historical, and belongs to the Grecian deity, not the Egyptian Sphinx. Its date is unauthenticated, but at least it wears the halo of antiquity, for Sophocles wrote of it in the Fourth Century B.C. Samson has been called the Father of Riddles, but merely because his famous riddle was among the first to creep into print. Doubtless older and better ones were buried in an oblivion from which they can never be disinterred. "Out of the eater," propounded 1200 B.C., does not strike us as an exquisitely clever conceit, but it embodies the true principle of the riddle and of the riddle story. The asker already knew the solution, and that was why the guessers strove to attain a re-solution. In those days riddles were proposed at wedding feasts and other social gatherings, a practice still obtaining to a degree. The Queen of Sheba came to visit Solomon, "to prove him with hard questions." And Solomon, in his turn was addicted to the giving of riddles to Hiram, King of Tyre, who was fined for those he failed to guess. Among the Egyptians, puzzling was a religious rite and the Sphinx was their goddess. We are told that such was the esoteric religion of the Egyptians that all the priests were riddlers and their religion one vast enigma. Other recorded ancient riddles are of interest to the antiquarian, but enough has been said here to prove the inherent love of Question and Answer in man's mind from the earliest ages. From earlier than Samson to later than Sam Lloyd the puzzle has held its own among mental activities. And puzzle, in its broader sense includes all branches of mystery or detective stories as well as mere riddles or conundrums. The Century Dictionary defines puzzle as "A riddle, toy or contrivance which is designed to try one's ingenuity." This is the crux of the mystery story. It is designed to try the reader's ingenuity at re-solution. The exercise of this tried ingenuity is what gives the entertainment or amusement found in a mystery story. The type of mentality or the kind of mental bias that gives pleasure in puzzling is the same in author and reader. The talent that knits is the same talent that unravels. The propounder uses the same kind of acumen as the guesser, and his pleasure in doing so is of the same sort. It is difficult to say just what this mental faculty is, but we who possess it know that its exercise gives us exquisite enjoyment. As the athlete rejoices in his muscular prowess, as the musician rejoices in the melodies he makes, as the artist glories in his painted masterpiece, yea, even as the clam is notoriously happy in his own element, so the mental acrobat revels in concentrating all his brain power on an analytical problem. Lowell declared that Poe had two of the prime qualities of genius—"a faculty of vigorous yet minute analysis and a wonderful fecundity of imagination." These two qualities are present to a greater or less degree in every lover of mystery fiction; and it is the degree that determines the intensity of the call of the author and the response of the reader. What makes for worthwhileness in mystery fiction of any kind is the puzzle and its answer—not the gruesomeness of a setting or the personality of a hero or the delineation of a character. A liking for mystery fiction is not a mark of poor taste or an indication of inferior intellect. Its readers form an audience greatly misunderstood by other literary people whose mentality lacks this bent. But what especial audience is not misunderstood? Do not many people say to music lovers, "I don't see how you can sit through Parsifal"? Do not some scoff at people who trail through art galleries, catalogue in hand? Let us concede that a taste for mystery fiction is not universal. We will even admit that in its nicer points the riddle story may be "caviar to the general," but we will not agree that it is unworthy a place in literature or that it is outside the pale of art. "Supercilious persons who profess to have a high regard for the dignity of 'literature' are loath to admit that detective stories belong to the category of serious writing. They will make an exception in the case of certain tales by Edgar Allan Poe, but in general they would cast narratives of this sort down from the upper ranges of fine fiction. They do this because, in the first place, they think that the detective story makes a vulgar appeal through its exploitation of crime. In the second place, and with some reason, they despise detective stories because most of them are poor, cheap things. Just at present there is a great popular demand for them; and in response to this demand a flood of crude, ill-written, sensational tales comes pouring from the presses of the day. But a detective story composed by a man of talent, not to say of genius, is quite as worthy of admiration as any other form of novel. In truth, its interest does not really lie in the crime which gives the writer a sort of starting point. In many of these stories the crime has occurred before the tale begins; and frequently it happens, as it were, off the stage, in accordance with the traditional precept of Horace. "The real interest of a fine detective story is very largely an intellectual interest. Here we see the conflict of one acutely analytical mind with some other mind which is scarcely less acute and analytical. It is a battle of wits, a mental duel, involving close logic, a certain amount of applied psychology, and also a high degree of daring on the part both of the criminal and of the man who hunts him down. Here is nothing in itself 'sensational' in the popular acceptance of that word. "Therefore, when we speak of the detective story, and regard it seriously, we do not mean the penny-dreadfuls, the dime-novels, and the books which are hastily thrown together by some hack-writer of the 'Nick Carter' school, but the skillfully planned work of one who can construct and work out a complicated problem, definitely and convincingly. It must not be too complex; for here, as in all art, simplicity is the soul of genius. The story must appeal to our love of the mysterious, and it must be characterized by ingenuity, without transcending in the least the limits of the probable." This is a clear and rational definition of the Detective Story as we propose to consider it, and it seems to justify the acceptance of such stories as literature. But even in the complete absence of necessity for apology, we must consider the rightful place of the Mystery Story in fiction. It is neither below nor above other types of story, but side by side with character studies, problem novels, society sketches or symbolic romances; and in so far as it fulfils the requirements of the best literature, just so far it is the best literature. There are bigoted and thoughtless critics who deny the Mystery Story any right to be considered as literature at all. But better judges are better pleased. "As to whether a Detective Story is literature, it seems to me that the question is not unlike asking whether a man with blue eyes is moral. No story ever took a place as literature on the strength of its plot. I am in the habit of telling my classes that one can no more judge the literary value of a novel from its plot, than one can judge of the beauty of a girl from an X-ray photograph of her skeleton. To exclude detective tales would be greatly to diminish the world's literary baggage." Professor Brander Matthews tells us in "Inquiries and Opinions" that "Poe transported the detective story from the group of tales into the group of portrayals of character. By bestowing upon it a human interest, he raised it in the literary scale." "Even at its best, in the simple perfection of form that Poe bestowed on it, there is no denying that the Detective Story demanded from its creator no depth of sentiment, no warmth of emotion, and no large understanding of human desire. There are those who would dismiss it carelessly, as making an appeal not far removed from that of the riddle and of the conundrum. There are those again who would liken it rather to the adroit trick of a clever conjurer. No doubt, it gratifies in us chiefly that delight in difficulty conquered, which is a part of the primitive play-impulse potent in us all, but tending to die out as we grow older, as we lessen in energy, and as we feel more deeply the tragi-comedy of existence. But inexpensive as it may seem to those of us who look to literature for enlightenment, for solace in the hour of need, for stimulus to stiffen the will in the never ending struggle of life, the detective tale, as Poe contrived it, has merits of its own as distinct and as undeniable, as those of the historical novel, for example, or of the sea-tale. It may please the young rather than the old, but the pleasure it can give is ever innocent; and the young are always in the majority." Perhaps with his inerrant sense of terminology. Professor Matthews struck the right word when he called the Mystery Story inexpensive. It is that, but it is not necessarily cheap. The indiscriminate critic who pronounces all detective stories trash, would be quite as logical and veracious should he call all love stories trash or all historical novels trash. The matter of a detective story is definite and easily invoiced; the manner allows scope as high as poetry or as deep as philosophy or as wide as romance. There is as true literature in Poe's detective stories as in Bacon's Essays, though of a different sort. A recent well-known author published a book of clever detective stories anonymously. Asked why, he said that he considered the admission of its authorship beneath his literary dignity. "Because," he explained, "they are false to life and false to art." As a generalization, nothing could be more untrue. A detective story may be these things, but so may stories in any other field of fiction. It depends on the author. But to imply that a detective story is necessarily false to life and is false, per se, to art, is a mistake. "Of course 'The Gold Bug' is literature; of course any other story of mystery and puzzle is also literature, provided it is as good as 'The Gold Bug,'—or I will say, since that standard has never since been quite attained, provided it is a half or a tenth as good. It is goldsmith's work; it is Chinese carving; it is Daedalian; it is fine. It is the product of the ingenuity lobe of the human brain working and expatiating in freedom. It is art; not spiritual nor transcendental art but solid art, to be felt and experienced. You may examine it at your leisure, it will be always ready for you; you need not fast or watch your arms overnight in order to understand it. Look at the nice setting of the mortises; mark how the cover fits; how smooth is the working of that spring drawer. Observe that this bit of carving, which seemed mere ornament, is really a vital part of the mechanism. Note, moreover, how balanced and symmetrical the whole design is, with what economy and foresight every part is fashioned. It is not only an ingenious structure, it is a handsome bit of furniture, and will materially improve the looks of the empty chambers, or disorderly or ungainly chambers that you carry under your crown. Or if it happen that these apartments are noble in decoration and proportions, then this captivating little object will find a suitable place in some spare nook or other, and will rest or entertain eyes too long focused on the severely sublime and beautiful." Yes, the detective story at its best is primarily and integrally a work of art. It is like those Chinese carved balls, referred to by Tennyson as, "Laborious orient ivory, sphere in sphere," and as the mystery story originated in the Orient, there may be some correlation. The detective story has been called "ingenious but somewhat mechanical." Here the stigma lies in the "but." The detective story is ingenious and mechanical. On these two commandments hang all the laws of mystery fiction writing. Also ingenious and mechanical are the Fixed Forms of verse. Who denies the beauty and art of sonnets and rondeaux, and even sestinas, because they are ingenious and mechanical? As the mosaic worker in Florence picks out his colored bits with utmost skill, care and patience, so the worker in Fixed Forms selects his words and fits them into his inexorable pattern until he achieves his perfect and exquisite result. Heraldic devices are not "artistic" in the accepted sense of the word, but they are an art in themselves; ingenious and mechanical, but still art. The Heraldic lions in front of the New York Public Library may not be true to nature's lions, may not be true to a poetic imagination of a lion, but they are true to the laws of the conventional lion of heraldry, and are therefore art. Oriental embroidery is art as much as an impressionist picture, though of a different type, and characterized by ingenuity and mechanism. If, as Lowell says, "genius finds its expression in the establishment of a perfect mutual understanding between the worker and his material," then we can exclude no serious endeavors from the possibility of being art. And the qualities of ingenuity and mechanism are peculiarly fitted to bring about the establishment of just such an understanding. One reason for a sweeping denouncement of the detective story is the innate propensity of the human mind for bluffing at intellect. Many people would be glad to admit a taste for mystery fiction, but tradition tells them that such things are but child's play, while a love of ethics or metaphysics betokens a great mind. Ashamed then, of their honest liking for puzzle solving, they deny it, and pretend a deep interest in subjects which really mean little or nothing to them. "How can you read such stuff?" they ask in shocked tones of the puzzle lover, who, with alert brain and bright eyes, is galloping through "The Mystery of the Deserted Wing," and then they turn with a virtuous yawn, back to the uncut pages of the erudite tome through which they are plodding their weary way. To the truly great intellect who understands and knows whereof he thinks, the above does not apply. But so long as men are unwilling to be caught in a liking for "child's play," and so long as women yearn after that smattering of abstruse literature which represents to them "a breadth of culture," so long will the detective story be ostentatiously denounced on the corners of the streets, and eagerly devoured behind closed doors. Of course there are plenty of people of real intelligence who have no taste for Mystery Stories. This proves nothing, for there are also plenty of people of real intelligence who like them. Again we might as well ask, "Does a blue eyed man like cherries?" But, as many people are fond of the authority of the good and great, let us be definite. "The fact is. I'm an indiscriminate reader of detective stories and would be at a loss to pick out my favorites. On the whole I have got the most authentic thrill out of Anna Katharine Green's books and Gaboriau's." Dr. William J. Rolfe, the famous Shakespearian editor, was exceedingly fond of Mystery Stories and puzzles of all sorts. He especially revelled in the books of charades written by his friend and colleague. Professor William Bellamy. Indeed, the hasty and inconsiderate judgment that relegates all detective fiction to the trash-pile, might be modified by the knowledge of the college professors and deep-thinking scholars who turn to detective stories for recreation and enjoyment. "The weighty work in which the eminent statesman is so deeply engrossed," he said, "is called 'The Great Rand Robbery.1 It is a detective novel, for sale at all bookstalls." "'The Great Rand Robbery?"' he repeated, incredulously. "What an odd taste!" "It is not a taste, it is his vice," returned the gentleman with the pearl stud. "It is his one dissipation. He is noted for it. You, as a stranger, could hardly be expected to know of this idiosyncrasy. Mr. Gladstone sought relaxation in the Greek poets. Sir Andrew finds his in Ga- boriau. Since I have been a member of Parliament, I have never seen him in the library without a shilling shocker in his hands. He brings them even into the sacred precincts of the House, and from the Government benches reads them concealed inside his hat. Once started on a tale of murder, robbery, and sudden death, nothing can tear him from it, not even the call of the division-bell, nor of hunger, nor the prayers of the party Whip. He gave up his country house because when he journeyed to it in the train he would become so absorbed in his detective stories that he was invariably carried past his station." Perhaps such an inordinate relish is not to be entirely commended, but the fact remains that an analytical mentality gets an intense enjoyment out of the solving of puzzles or mysteries, that a differently constituted brain cannot in the least understand or appreciate. "Different men are of different opinions. Some like apples, some like inions." "In a recent story, 'The Beldonald Holbein,1 it is not my fault if I am so put together as often to find more life in situations obscure and subject to interpretation than in the gross rattle of the foreground." One could not find a more luminous comment upon his short stories than these words contain. The situations that he prefers are, as he says, "obscure" but "subject to interpretation." Hawthorne's situations, however, even when obscure, are always vital. We cannot imagine Hawthorne saying, as James says, "It is an incident for a woman to stand up with her hand resting on a table and look out at you in a certain way." If, then, Mr. James gets exquisite satisfaction out of the careful consideration of this incident, why may not another equally great intellect become absorbed in finding out who stole the jewels? The curiosity aroused by Mystery Fiction is not then, a mere idle curiosity but an intellectual interest.